Estate Lot in Lovejoy ISD - See Informtion Below Article. Lucas touts itself as "small-town Texas at its best." The Collin County community of 5,200 residents offers homes on large lots in a convenient location near the growing suburbs of Allen, McKinney and Plano. Retail and restaurant development is nearby, especially along Central Expressway, about seven miles to the west. But within Lucas, commercial businesses are limited. Most new construction is residential. That focus on country living pleases many of its residents. "I moved here because of the wide-open spaces," said Mayor Bill Carmickle. "And to have a place for my horses." Jeanine Harvell and her family also wanted more open land. "You can look up and see the stars and moon at night," said Mrs. Harvell, whose husband grew up in Lucas. The couple moved from Dallas to Lucas in the 1970s, when the population was skyrocketing. It grew from 540 in 1970 to 1,370 in 1980. Mrs. Harvell's children attended schools in the Lovejoy school district, one of six districts in the city. Lovejoy serves about 2,000 students in a 19-square-mile area that includes Lucas, Fairview and surrounding communities. Stacy and Kathy Caudell at their home in the Stonegate subdivision in Lucas. "The school system is great," Mrs. Harvell said. New schools include Lovejoy High, which opened two years ago, and a middle school, which is set to open this fall. While more and more families call the community home, major city services are still minimal. Lucas does not have its own police department. The city contracts with the Collin County sheriff's office for one full-time officer. An all-volunteer fire department provides fire protection. The city doesn't have a library system, but nearby Allen, McKinney and Wylie offer public libraries. Five park areas are in the city, including Trinity Trail, which starts in Wylie and continues north through Lucas to Fairview. A big draw for residents is Lavon Lake, which borders Lucas on the east. The 21,400-acre lake offers a range of recreational activities including fishing, swimming, boating and camping. Lucas also has a nine-mile equestrian trail for those who enjoy horseback riding. As the city grows, officials strive to preserve a rural quality of life and avoid congestion. Most new homes are built on at least an acre of property, with many on at least an acre and a half. City leaders are now proposing a home-rule charter, since population is more than 5,000. Home rule would allow Lucas to pass its own ordinances and have more control over its government. The charter will be on the May 10 ballot. One recent development to control growth is the decision to discontinue providing city services to residents outside of the Lucas city limits but within its extraterritorial jurisdiction. As of May 1, the services will stop but residents in these areas can investigate annexation to the city or check with the county for services. "The change is about our ability to maintain the needed funds to provide a sufficient and appropriate level of city services to our tax-paying residents," the mayor said. History: Peter F. Lucas was among settlers in the area in the 1840s. His son Gabriel opened a store in 1870; the community was named after him. The city incorporated in 1970. 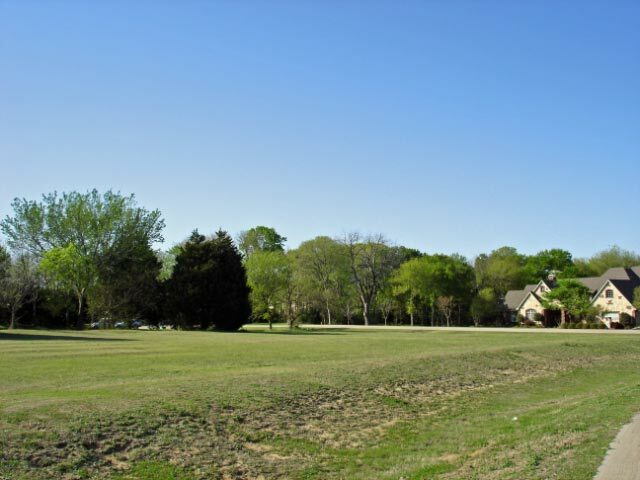 May 1, 2008, Lucas News, Just Sold in Forest Creek Estates, Two-Acre Estate Lot, SOLD in only 17 days. 1971 Mary Lee Lane in the Lovejoy ISD area, Offered at under $175,000, and Under Contract in less than 3 Weeks! please call today to see how we can help you to get your property sold too. homes on acreage or premier homesites. Call 972-612-2277 for more information.